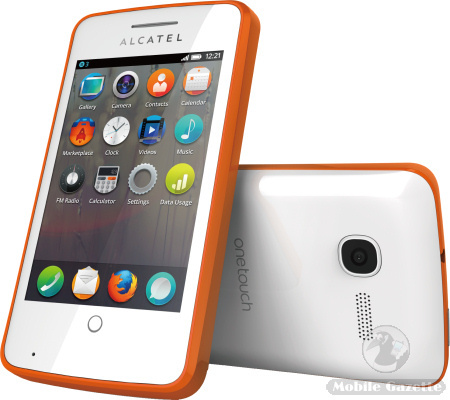 The Alcatel One Touch Fire (spelled all in capitals by ALCATEL) looks like it might be the world's first Mozilla Firefox OS phone when it hits the market in a few months time. 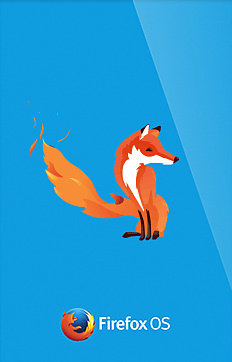 The Firefox operating system is a very lightweight OS which runs HTML5 applications in the phone's browser, rather than as native applications on the phone itself. This makes for a very efficient approach, although we have serious doubts about the strength of the security model. Before we look at the One Touch Fire more closely, there's a question to ponder. Is this a smartphone? Some people say "yes", but we have to say "no". The reason for this is that the add-on applications running on the phone are actually running within the browser, rather than natively on the phone operating system. With the Nokia Asha range of feature phones, the applications run within the Java environment and there really is very little difference between these two types of handset. So perhaps we should call the One Touch Fire an "advanced feature phone"? But should we worry about it? Probably not. Anyway, the hardware is an attractive and compact affair with a 3.5" 320 x 480 pixel display, a 3.2 megapixel camera, a 1GHz CPU with 256MB of RAM and 512MB of onboard flash plus a microSD slot. The One Touch Fire supports WiFi, 3.5G and Bluetooth connectivity, and it also comes with GPS, an accelerometer, proximity sensor and light sensor. On top of all that, there is an FM radio too. Inside is a 1400 mAh battery which is quoted as giving up to 7 hours talktime and 12 days standby on 3G. Exactly what software the One Touch Fire will come with is unknown, but the screenshots show various personal information management tools, an email client and chat client. Of course, you can expect more applications to come along, but don't expect them to be as sophisticated as those on fully-blown smartphones. We don't know what markets the One Touch Fire will be sold in, or the price. We would expect it to cost more than the Nokia Asha 311 (street price about €100) and about the same as the Samsung Galaxy Ace (about €150). It's worth noting that whatever it costs, the standard sales package does include a 2GB memory card and a stereo wired headset.